St Mary's claims the Royal Charter of Edward the Confessor, from 1049. Whilst is not itself a Templar Church, it was adjacent to Temple Manor, which was used by the Templars in the 13th Century. Several Knights tomb stones have been brought within the church and can be seen in the north trancept. It is a Christian tradition to carve five crosses in the top of an altar, symbolising the five wounds of Christ. 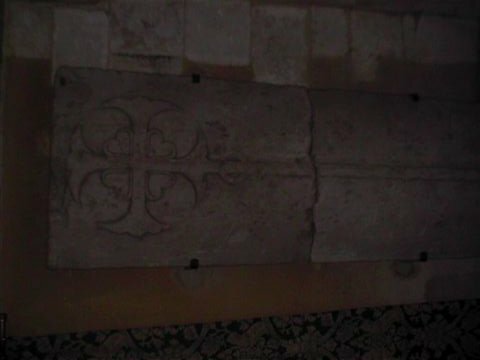 The five crosses on the altar are derived from the cross on the stone coffin lid of a Knight Templar on the right of the altar, in which four hearts converge towards its centre.